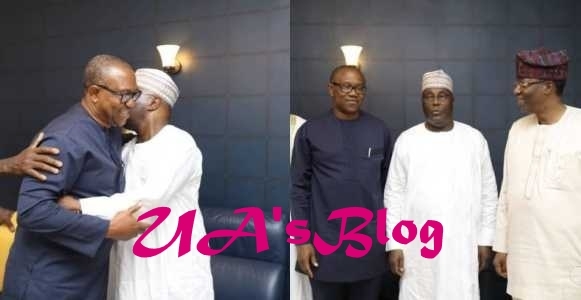 Senator Ben Bruce, Dele Momodu have joined several Nigerians to congratulate the former governor of Anambra State, Peter Obi on his emergence at Atiku Abubakar’s running mate for the 2019 Presidential elections. 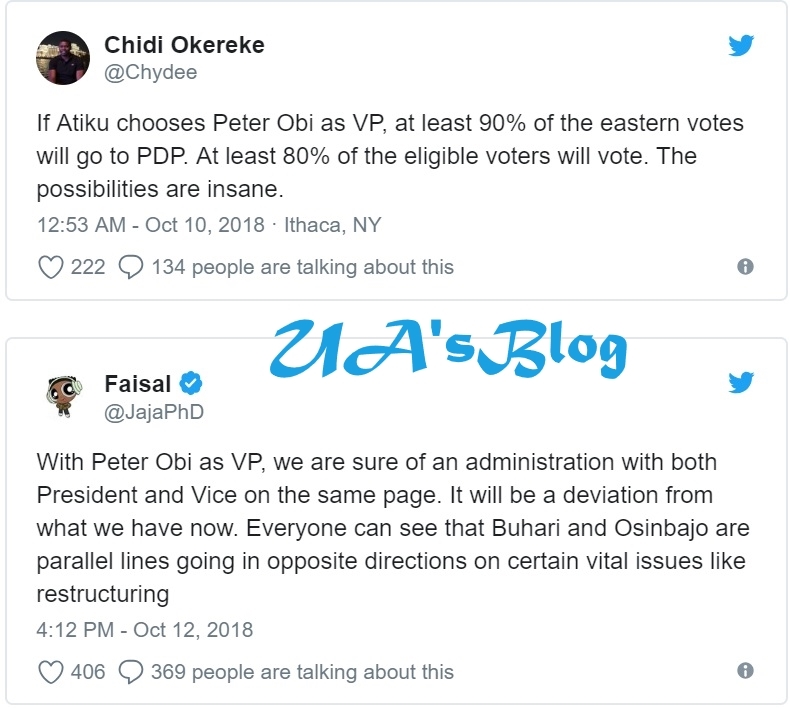 ‘Congratulations to DR PETER OBI on your selection as Vice Presidential candidate to THE WAZIRIN ADAMAWA ALHAJI ATIKU ABUBAKAR… Best of luck to both of you’ Dele Momodu tweeted shortly after the meeting. 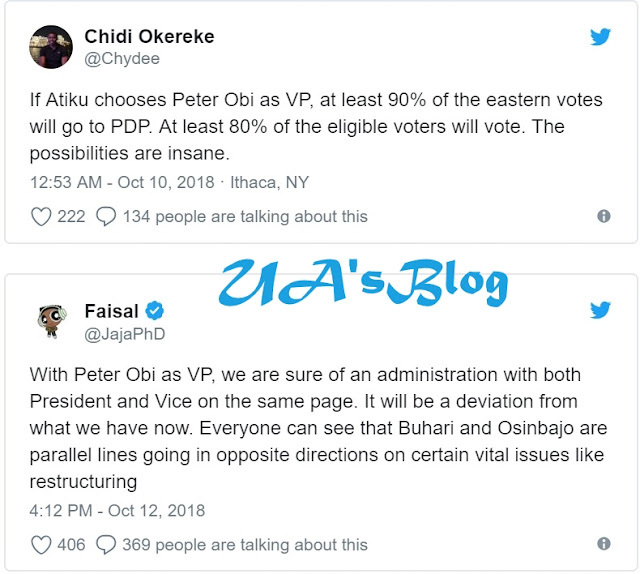 In the words of Ben Bruce, ‘Congrats my friend and brother, Mr. Peter Obi on your selection as vice presidential candidate to Atiku. 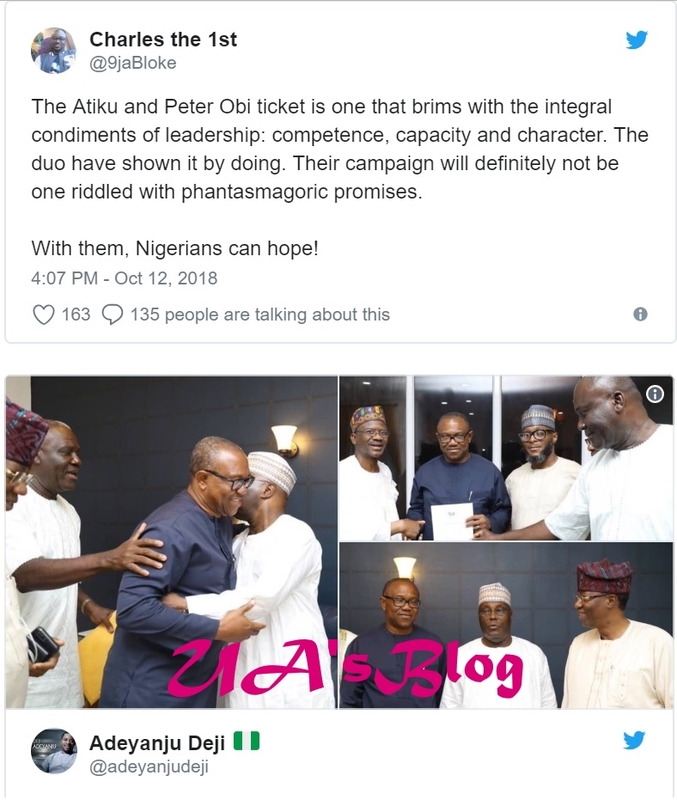 Without doubt, this is a solid team that will lift Nigeria to her rightly place amongst the assembly of nations’.